When you are planning an event that will have a lot of people attending, it is necessary to provide a place for all these people to use the bathroom. Portable toilets can be delivered to parks, fairgrounds, parking lots, running trails, or anywhere you need to provide a place for people to use the bathroom. Depending on the size of crowds you are expecting, you can have as many portable toilets delivered as you have room for. Having multiple toilets for people to use if you have a large group of people can help eliminate long lines. A lot of people do not have very good opinions about portable toilets. They think they are dirty and smell bad. This is not the case anymore. When you rent them from a reliable company and use them properly, portable toilets are clean and sanitary. A lot of companies that rent portable toilets also rent hand washing stations, as well, so you won’t risk spreading germs. Portable toilets are clean and convenient, which make them a great choice for all of your events. The best thing about portable toilets is that that the waste company will do all the work. They will deliver the portable toilets to the location you need them and get them all set up and ready to go. Then when your event is over, they will clean them up and take them off the property. They will also empty the toilets, so you do not have to do anything except make a phone call! 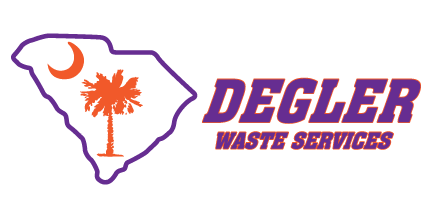 If you are interested in portable toilets for your next event or party, contact us today at Degler Waste Services. We can set you up with portable toilets at any location and make sure your next event goes smoothly.